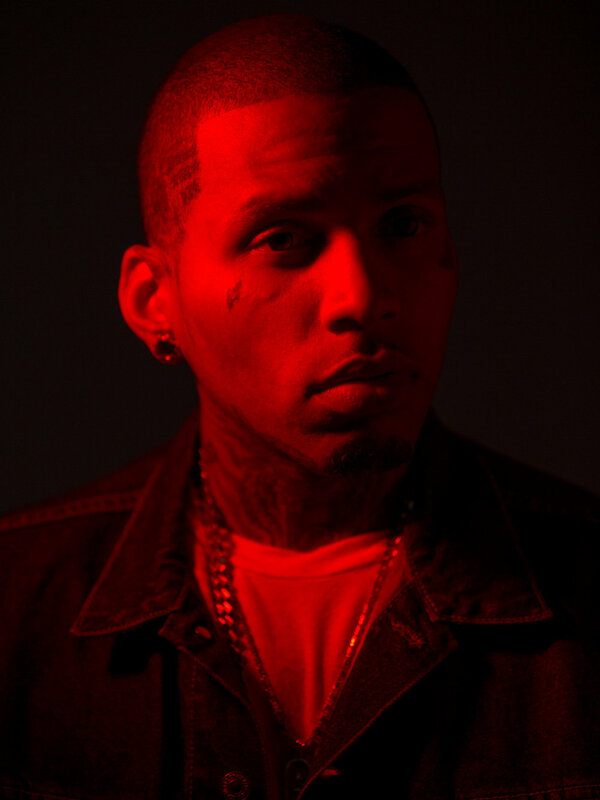 Kid Ink isn’t a household name (yet), but you’ve heard his music at least once today. At 29 the young Los Angeles native is a veteran in the music industry. With four years of producer credit under his belt Kid Ink has an understanding of music that allows him to churn out pop hits with Chris Brown to surging verses with the likes of Pusha T. Using everything that surrounds him as inspiration Kid Ink wants a long career in music, and isn’t afraid of the challenges or switching things around. With ink in your name, let’s begin with your perspective on the art of tattoo. Is there something you’re looking to get, and what is that thinking before a major piece? Space is probably the biggest factor. You have to have the room to put something you love. For artistic pieces I can get right into it, but with the more personal ones I have to spend some time to think. Personal ones may require explanation, and I have to think about whether I want to take the time to explain it to someone (laughs). Do you find your appreciation of art helping with your approach to music? I love art, but I find inspiration all around me. Music changes, and I try to use everything around me to get that beat. Life is a big component. If I’m having a good day I can get into the booth and be friendly, and turn out a pop hit. But, then there are those times you attack the beat; like you would if you hit the gym. Your released three mixtapes in 2011. Ambition and drive seems to be a big part of Kid Ink. What gets you motivated when you wake up? It was more of an inherent motivation. I treated it like a job; like any other nine to five. I wasn’t spoiled with success. I have been blessed, but I know what it means to work hard. And I worked hard, and treating music as a job was the start. From Chris Brown to Pusha T, it seems you have a lot of range when it comes to hip-hop. Is there a preference? I can’t say that I have. I like to have that range because I want a lasting career. Unlike some artists, I don’t mind switching it up. I need to keep up with the music, and that’s why I try to look for inspiration from everywhere. Culture is a huge inspiration, but I feel like I am often motivated by those around me. The people, our conversations, life situations, are all things that can inspire me. And sometimes it can be movies, or something as simple as a billboard. With all those club bangers on Full Speed, do you think having that producer experience helps with your approach to music? Definitely. My experience as a producer, and my ability as an artist fills a niche, and I like to think one of my advantages from my producer experience is that I can use everything around me. There are a lot of layers to music, and I want to be able to make those changes. I look at Timbaland and Pharrell and see how they are ready to adapt and change. Music can be consuming, what do you like to do to relax? Hanging out with friends, hitting the gym, but I think I can relax in the booth, too. Let’s switch to your style for a minute. You’re really up on streetwear and sportswear. How do you define your style? I borrow from everything. I start the day off with something sporty, and in the afternoon I might change up again. It leads up to the evening, and it can be a transformation. I can turn up depending on what’s going on. With your attendance at a school that encouraged creativity. What is your perspective on school? Overall, its good. I think education is important, but it has to speak to you. You can go to school for other things besides being a doctor. You have to find something for you. Being a native of Los Angeles. I gotta ask, Lakers or Clippers?